Get the most control and power from your driver. We carry the latest in designs from Ping and Titleist. With the use of our state-of-the-art Trackman, we can get you fit with the right head/shaft combination. With the use of our state-of-the-art Trackman, we can improve your control and accuracy by adjusting launch, lie, and spin characteristics. Get the most from your irons. We carry the latest in designs from Ping and Titleist. We use the state-of-the-art SAM PuttLab to make sure your ball is rolling on line. We carry the latest in designs from Ping and Titleist. We use the latest Trackman technology to get the perfect loft and bounce characteristics from your wedges. Come by and see the latest in designs from Ping and Titleist. Get lower scores with a properly fit fairway wood/hybrid. We use the latest Trackman technology to get you fit with the right club that matches your specific swing. We utilize the latest Sam Putt Lab and Trackman technology to give you the most comprehensive fitting we can offer. We carry the latest in designs from Ping and Titleist that help take you game to the next level. We are dedicated to help you get the most our of your game. Whether is one club or a full set of irons and wedges, we can get the right loft/lie adjustment for you. 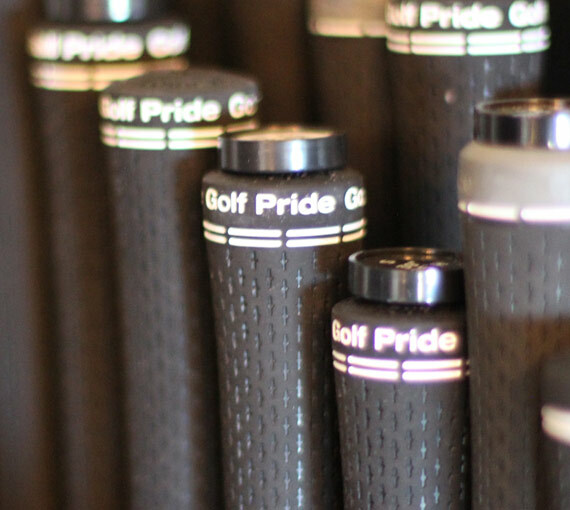 We carry a full line of Winn, Superstroke, Golf Pride, and Lamkin grips to get you the right fit. or call (423) 598-4653 for club repair, re-gripping, or adjustment.